Gambling can be as addictive as any type of drug and a very destructive habit. Statistically, nearly 85% of adults in the United States enjoy gambling but around 3% of those people will, unfortunately, develop a problem with gambling and approximately 1% will end up being diagnosed as “pathological gamblers”. The ease which people can gamble now, mobile phones, social gaming, online casinos – this is a problem that needs to be talked about. You can contact us in case you are struggling to deal with your gambling addiction. Online casinos push incentives and free bets to try and engage users into using their site, and using these sites can be fine in moderation but what happens when you go too far. If you feel that you might have problem with gambling, or that someone in your family or circle of friends does, here are a number of questions that you can ask that might give you your answer. 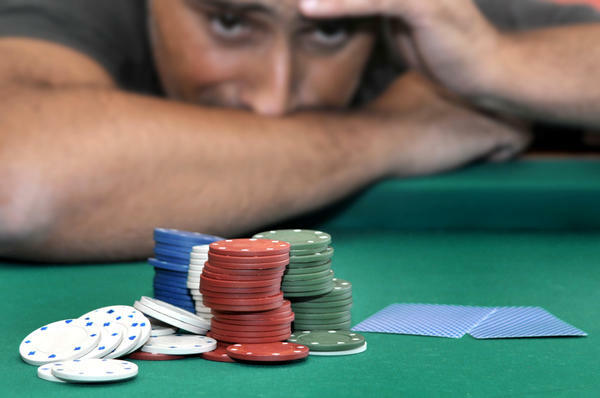 When you’re gambling, do you keep going until you completely run out of money? Do you sometimes gamble to win back money that you lost already or to pay gambling debts? Do you find yourself borrowing money in order to continue gambling? Have you ever lied to your friends and family in order to hide your gambling habit? Have you ever called out sick from work or made an excuse to avoid another type of obligation so that you could gamble? Does gambling help you to “forget” about your personal problems or, conversely, help you to celebrate? Would you say that gambling is affecting your daily life or relationships in a negative way? If you answered yes to any of the questions above it’s possible that you have a gambling problem. If you answered yes to 2 or more, it’s very likely that you do. The fact is, practically anyone can develop a gambling problem regardless of the type of person they are or the type of gambling that they enjoy. Interestingly enough, slot machines that are found in places like bars, convenience stores and pharmacies actually have been found to be the most addictive while, on the other end of the spectrum, bingo games and lottery cards are the least. Much like any other type of addiction, a gambling addiction is usually fueled by emotional problems and is a symptom of those problems. If you feel like you might have a gambling problem, there are plenty of groups that can help you including Gamblers Anonymous (GA) which is very similar to Alcoholics Anonymous (AA) and can be found by surfing the web. Normally there are several different GA meetings in most major cities and towns.